As you may have heard around town, a teensy bit of news that was shared recently… the Evergreen Extension is opening December 2, 2016!! The announcement was made at Moody Centre Station and we couldn’t resist taking a little tour ourselves to see more of one of the brand new stations. Of course we took a few photos to share with our lovely Buzzer blog readers. And just for fun, check out a quick timelapse from Moody Centre Station into the tunnel towards Burquitlam Station! We will continue to share fun videos and pictures of the Evergreen Extension across our social channels in preparation for its opening in December. It’s going to be a ‘green’ Christmas on the Millennium Line! Moody Centre Station sounds like a really depressing stop. Just saying. (1) Is the West Coast Express station at this location also going to be called Moody Centre? Since opening in 1995 it has been just plain Port Moody. (2) The latest Evergreen ads say the first train on the line will depart at noon and the website says the opening day community festivities will be at Coquitlam Central. Is that where the noon departure will be from? And will that train be for the public, or just VIPs and media? 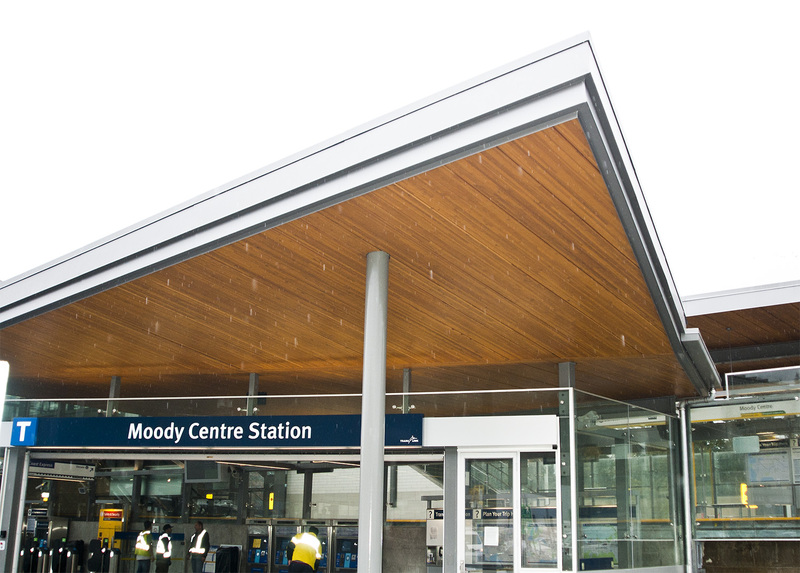 The entire station will be called Moody Centre. I love watching this. Thanks for the share, Sheba!